Mid-grade Detroit Tigers model ball likely saw some game use. 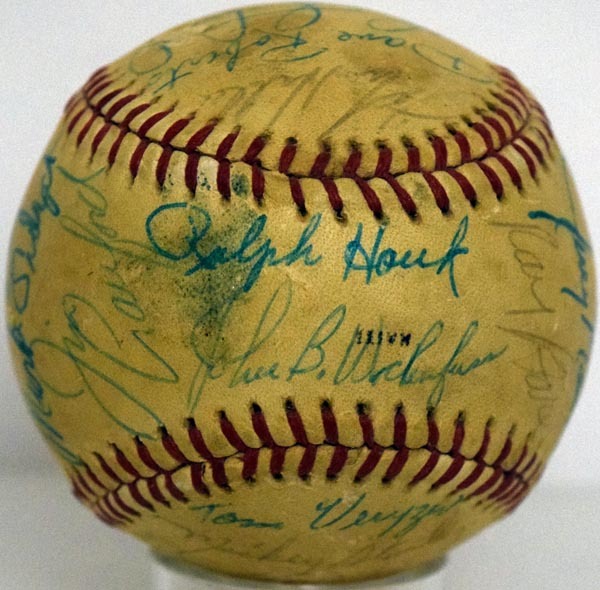 Signed by 25, generally solid signatures. Keys include Fidyrich, Houk (only ch), Freehan, Ogilvie, LeFlore, Coleman and Stanley.